One of the first thoughts I had when I found out I was pregnant with Brinley was, “Oh great, now I have to potty train another child.” I had just finished potty training McKenna and felt this sense of freedom! Potty training is one of my absolute most dreaded tasks as a parent. This isn’t because I have had some tramatic experience. No, we have actually always had things go quite smoothly overall. For some reason, though, it is a daunting task for me, and I know I am not alone. 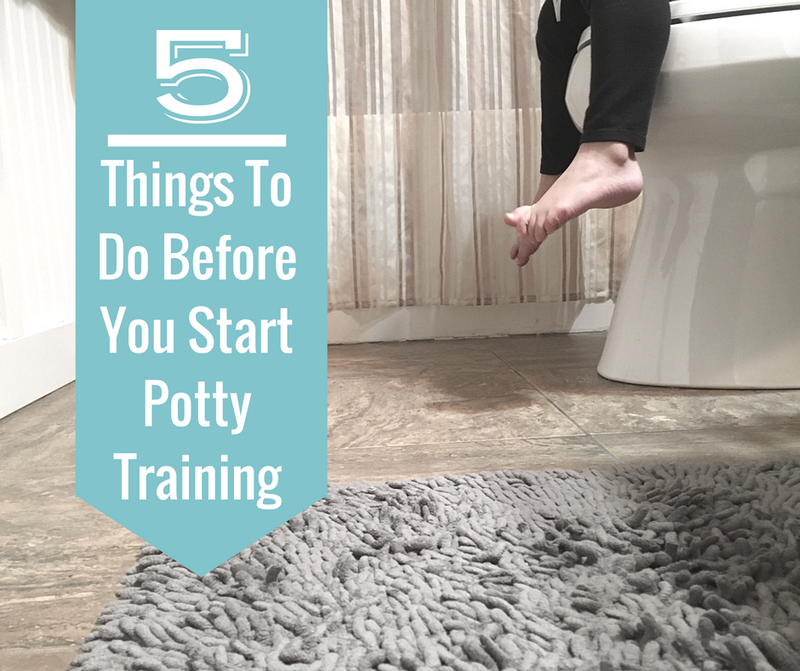 Here are five things for you to do before you start potty training that should help your process go smoothly. It is quite helpful to give fair warning to your child that his/her world is about to change. “On your birthday, you are going to start wearing underwear and pee in the potty!” Use a timeline the child can measure somewhat. A birthday or holiday are good, measurable moments. So are vacations. Think of something coming up in the future that your child will be able to measure time by. You need to have a plan for how you are going to go about this potty training business. Do not go into it with your plan being “Take away diapers.” Despite the fact that peeing and pooping are normal human functions, your child doesn’t know how to do so on a toilet yet. Your child has always been wearing a diaper, which means peeing and pooping anytime, anyplace has so far been okay. Your child hasn’t had to learn things like taking into account time to get to the toilet before the pee and poop comes out. It is all new. So you will have to teach. And teaching this isn’t easy. It is about as easy as it would be to teach someone how to swallow. Most children being potty trained aren’t full conversationalists. Most still only follow 1-2 step commands. There are a lot of facets to potty training, so it will take some practice to get there. Decide if you will do rewards or not, and if so, for what? Will you make going potty part of the routine or will you wait for your child to declare she needs to go? Potty training is an amoral activity, which means there is no one right way to go about it. That means you get to decide what would work best for you and your child. Just have a plan before you get started. This is how I do potty training. You don’t want to be in the middle of potty training when it is time to head out for a vacation. You don’t want to start on a day when you have a huge meeting you have to get ready for. 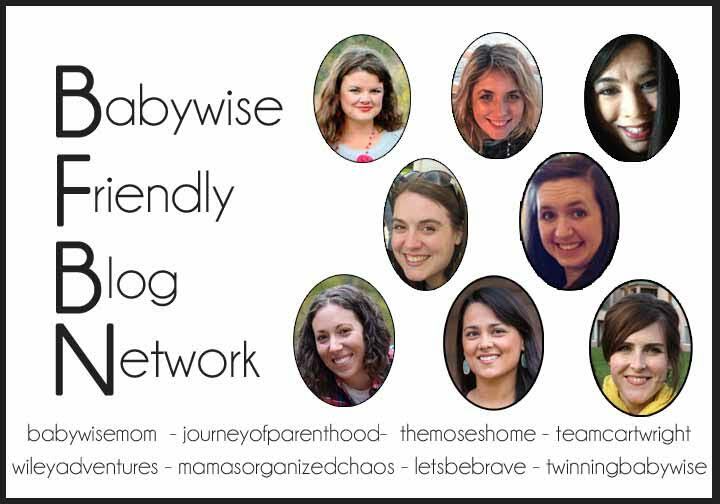 Ideally you will have at least 2-3 days at home where your main focus is on your child. Remember, you are teaching your child how to do a normal thing in a whole new way. Your child needs your focus and attention. Your child also needs some consistency to get it down. Before you start, you want to be prepared. You have made your plan and now you need to make sure you have everything you need. Potty chair, books for you, books for your child, treats, drinks…make sure you have everything you need before you get going. Note that potty training can be much easier if your child is drinking enough liquid that she HAS to go potty. That is why having snacks that make you thirsty as well as drinks on hand for your child helps the potty training process. You might be surprised how long a child can hold that pee in. Having too much liquid makes it impossible to hold (which is also why you really want to be around to watch for that potty dance). Your first couple of days are most likely going to be you and your child together the whooollllleee day long. No independent playtime. You might do a nap. No having your child do something in the other room. It is just you and the child. That can be mentally taxing, especially for those whose child is in the “ask one million and one questions” a day phase. Plan it as a day of fun. Have movies to watch, books to read, games to play, puzzles to put together…I like to have some activities for my child to do independently while I read or something just so we have little breaks. You also need to be mentally prepared because teaching potty training is difficult at times. You can’t explain it. You can’t demonstrate it. It is like trying to explain what salt tastes like without using the word “salty.” Some kids just get it. For others, it is hard! And honestly, if someone took your toilet away and told you that you have to now use the restroom in a totally different way, it would probably take you some time to get used to it. Be prepared to be patient. Be prepared to get mentally worn out. Be prepared to clean up messes. If you are ready for the worst, you will most likely be pleasantly surprised. For great tips on surviving this, see Surviving Potty Training. Potty training can feel scary, but it is very doable. Start with these five steps, consult the posts below for more help, and you should be well on your way to success!